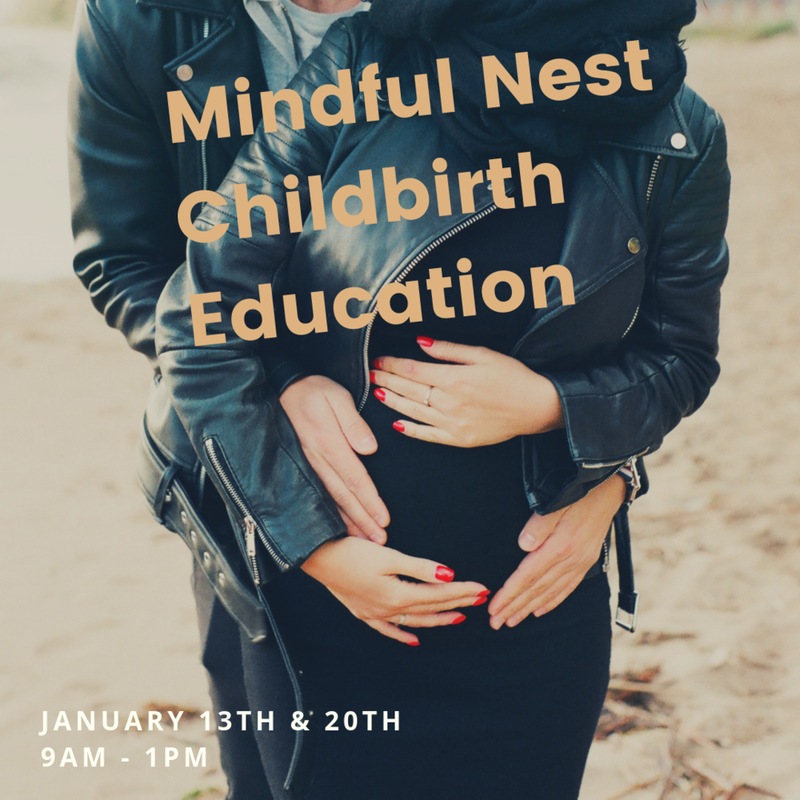 Mindful Nest is more than a class about how a baby is born. It’s a class that provides space to be curious about this life stage. A space to grow individually and as a family. It’s an opportunity to learn about the physiology of birth and how you would appreciate being supported both physically and mentally through this journey. It’s a conversation. It’s welcoming of all people and paths to parenthood. Mindful Nest also prepares the birthing person, and support team for the fourth trimester and the sweet, wild road ahead of parenthood. We have two spots open. Next session is January 13th & 20th. Message with any questions or if you would like to sign up. These simple techniques can be utilized in regular life to support the doula with on-call life and birth timelines. Send any questions to megan@bravebirth.com and to register click here. Join me and Dr. Kelsey Stang for a nourishing lunch, guided meditation, community, conversation, tips and tools for self care in the postpartum time. If you have questions or would like to join email, megan@bravebirth.com. We look forward to sharing this nourishing afternoon with you! We've arrived in the season of rain and blossoms and new beginnings. I have two new weekly yoga classes & the second round of mindfulness-based childbirth education starting in April as well as a yoga and running retreat coming up in June. Scroll on down to get the details. Sunday, April 1st- 1:30pm-2:45 is my first Prenatal Yoga class at The People's Yoga's Mississippi location! Restorative Yoga at Brave Birth is open to everyone and begins Thursday, April 5th. Run, eat, soak, yoga, repeat! Join me and Rob Van Cleeve for three days of trail running and restorative yoga. Rob VanCleve has been running for 30 years and coaching for 22 years. He is a certified USATF Level I coach and a five time national master’s champion in middle distance races. First and foremost, Rob is teacher and coach at heart with a passion for helping people discover the joys of running. Whether you are a novice runner looking for a structured program or an experienced runner looking to invigorate your training, this retreat will help you meet your goals. This balanced workshop addresses the physical and mental aspects of running. The days include morning trail runs, interactive classes, technique sessions and restorative yoga, targeted to the needs of runners. Participants will also leave with a personalized training plan for their next race. Great article on mindfulness and the nuances of pain and developing a relationship with pain- check it out here! 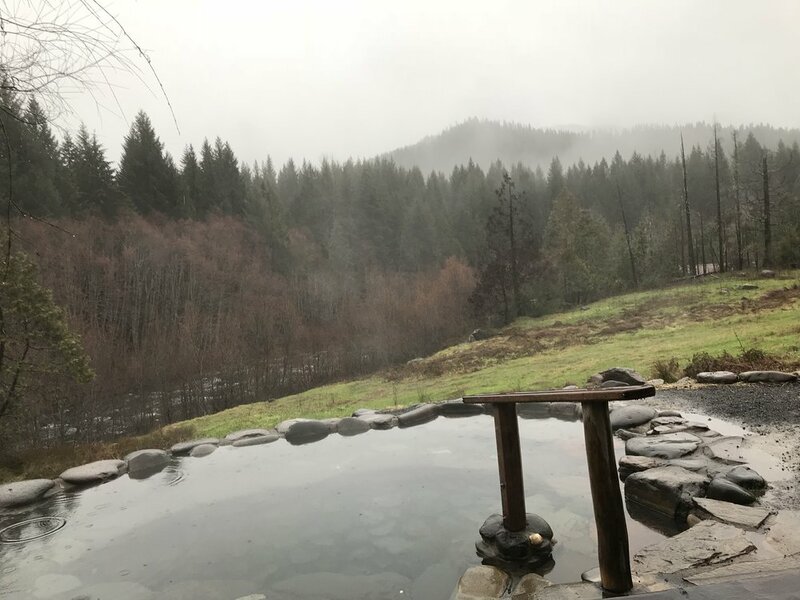 Runner/ yoga friends, I am teaching the yoga portion of the Running and Yoga Retreat led by Rob VanCleve at Breitenbush Hot Springs Retreat Center! I'm so excited to be a part of this retreat and would love for you to come too! You can register on the Breitenbush website. Run, eat, soak, yoga, repeat. Join us for three days of trail running and restorative yoga. Whether you are a novice runner looking for a structured program or an experienced runner looking to invigorate your training, this retreat will help you meet your goals. This balanced workshop addresses the physical and mental aspects of running. The days include morning trail runs, interactive classes, technique sessions, and restorative yoga, targeted to the needs of runners, led by Megan Peterson. Participants will leave with a personalized training plan for their next race. Rob VanCleve has been running for 30 years and coaching for 22 years. He is a certified USATF Level I coach and a five time national master’s champion in middle distance races. First and foremost, Rob is teacher and coach at heart with a passion for helping people discover the joys of running. I am very excited about the new prenatal yoga classes I have added to my schedule! the way a sprig in sun feeds its unseen root. Even though I believe in living in the open, parts of me hide. I can't help it. But what I can help is which parts of me- the open or the hidden- run my life. What I can rely on is this inexplicable knowing that when I am in the open, life nourishes even those parts so sorely hidden. I am struck by these words from The Book of Awakening by Mark Nepo and have reread them many times. Initially it spoke to me because of the beautiful imagery of spring, the arrival of which I have been very excited for as these past winter months have been particularly dark and grey. Upon further study, the most striking part of this piece that I am continually learning, is how the dark, that which is in our roots that is not always exposed, informs our light. I have seen, especially in the yoga community, a denial of our darker parts. Rather than embracing the complexity of emotions and the discomfort they may bring, all to often in the yoga community the message of "choosing happy" is applied as a cure all. Neuroscience does prove that what we focus on the most is what the brain chooses to remember and I believe that is where this sentiment comes from. However, I feel it can easily wash away, or discredit someone's experience of sadness, loneliness and heartache. Being with these "darker" parts of ourselves is crucial to our understanding of ourselves more completely, wholly. I believe this embracing of the darkness informs the light within us. I have definitely been through some dark periods in my life, where the light seemed so dim. Since I have started practicing yoga and meditation, I have slowly been able to allow more space for the darkness. For me this means sitting with feelings in my body and practicing self compassion for the pain I am experiencing. I interpret Nepo's message of living in the open as living in it all, not simply idealizing the light. I have experienced when I can let life live through me I am not so easily stuck in the darkness. As we move from the darkness to the light, to blossoms and spring air filled with loveliness, remember how the darkness of winter may have also nourished you. Below, I've included some Ayurvedic tips for intentionally transitioning into spring. I hope you enjoy them. I am also running the second round of the yoga course, The Heart of the Practice! P.P.S. Stay tuned for more news about my work as a doula! Move your body- Take a walk and enjoy the blossoms. Play basketball with your kids. Garden. Practice yoga. Get your heart rate up for 20 minutes a day if possible. Establish a daily waking routine- Skip naps even on the grayest of Portland days. If you need time to rest, try legs up the wall pose! Stay warm- Eat cooked, warm foods. Wear cozy clothes and warm colors like red, orange and yellow. Practice heating pranayama- (unless you are pregnant). Try ujjayi and kapalabhati. Spring cleaning- Clear out what you don't need, remove the clutter. Aren't we all happier when our space is tidy? Connect- Spend meaningful time with your loved ones that warm your heart. This course utilizes yoga asana (postures, both active and restorative), pranayama (breathwork), and mindfulness practices to deepen student's experience of yoga. Explore the energy centers of the body through the lens of the chakra system. Learn about Ayurvedic doshas and how to establish simple daily routines to support your unique constitution. Cultivate the five core attitudes of yoga- develop faith in the practice, commit energy, cultivate mindfulness, seek the states of samadhi and pursue higher wisdom. Students will receive a weekly handout and optional home study practices. Prior yoga experience recommended but is not required. The rate is $175- Save your spot by registering here. I hope you all rang in the New Year surrounded by loved ones and lots of cheer! This is typically a time of reflection, and anticipation of what's to come in the year ahead. If any of your resolutions and intentions are wellness and yoga related, my new yoga series may be just what you're looking for! This course utilizes yoga asana (postures, both active and restorative), pranayama (breathwork), mindfulness practices and Ayurvedic wisdom to deepen student's experience of yoga. Create a strong foundation for your yoga practice with the principles of self study, gentle discipline and contentment (svadhyaya, tapas, and santosha). Explore non-attachment and commitment to the practice (abhyasa and vairagya). Learn to identify and work with the five mental obstacles- ignorance, egoism, attachment, aversion and clinging to life (kleshas). Cultivate the qualities of loving-kindness, compassion, empathic joy and equanimity (brahmaviharas). Students will receive a weekly handout and optional home study practices. Prior yoga experience recommended but is not required. The course runs Tuesday, January 24th, 2017-Thursday, March 30th, 2017. The course rate is $275- Save your spot by registering here.